WILL Power (previously Women's Forum) is a diverse group dedicated to, and focused on, the personal and professional development of women. 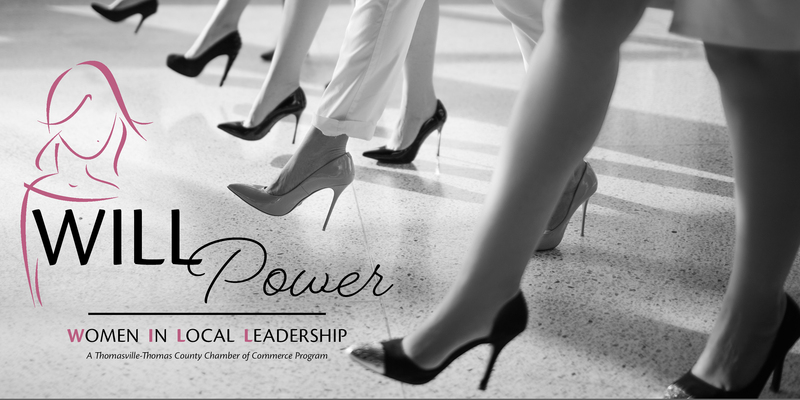 Every other month, WILL Power will provide a lunchtime program featuring distinguished leaders from our community and region going beyond their bios to provide attendees with tools, strategies and takeaways for their own success, all in an informal, interactive setting. On the months where there is not a speaker, WILL Power will provide attendees with professional development activities. This program is open (at no charge) to any woman who is an employee of a Chamber member business. Guests are welcome, but will need to pay $10. Registration is REQUIRED by visiting www.thomasvillechamber.com/events/calendar/ OR emailing christina@thomasvillechamber.com by the Friday prior to each month's meeting. Click here for the 2019 WILL Power Scholarship Application.